August 28, 2013 by Ecommerce News. About Cross-border with tags Germany, Switzerland. 11215 views. The Rocket Internet powered European online webshop for furniture is preparing to enter the Swiss market. The company continues to increase its international presence with a particular focus on European markets. At the same time its increasing the size of its product assortment to more than 50,000 items, making it one of the webshops with the broadest range of furniture, lamps and home accessories available across continental Europe. 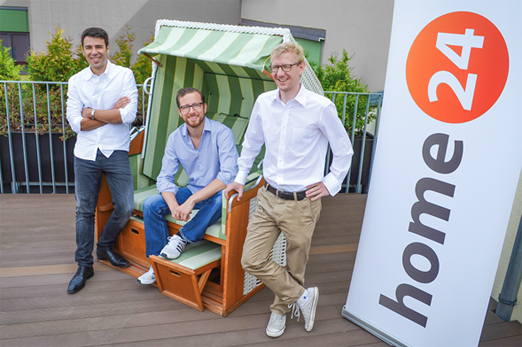 The online furniture ecommerce company recently celebrated a half million customers and with the step into the Swiss market, Home24 claims to reinforce its position as the leading online furniture shop in Europe. “Switzerland is an interesting and high potential market – most of all because the online furniture retail there is underdeveloped. We want to inspire even more customers with a large range of products and our convenient and free of charge delivery”, Home24 Co-Founder Philipp Kreibohm adds. To date, furniture and home accessories in Switzerland are primarily provided by stationary retail. A majority of brick-and-mortar furniture shops are still located in industrial zones outside of the urban centers. Swiss online retail market grew by 17% since 2010, reaching an overall market value of US$ 10.7 Billion. With a market share of 36%, Europe is already the second largest market for furniture related e-commerce sales after North-America. More about Germany or Switzerland.